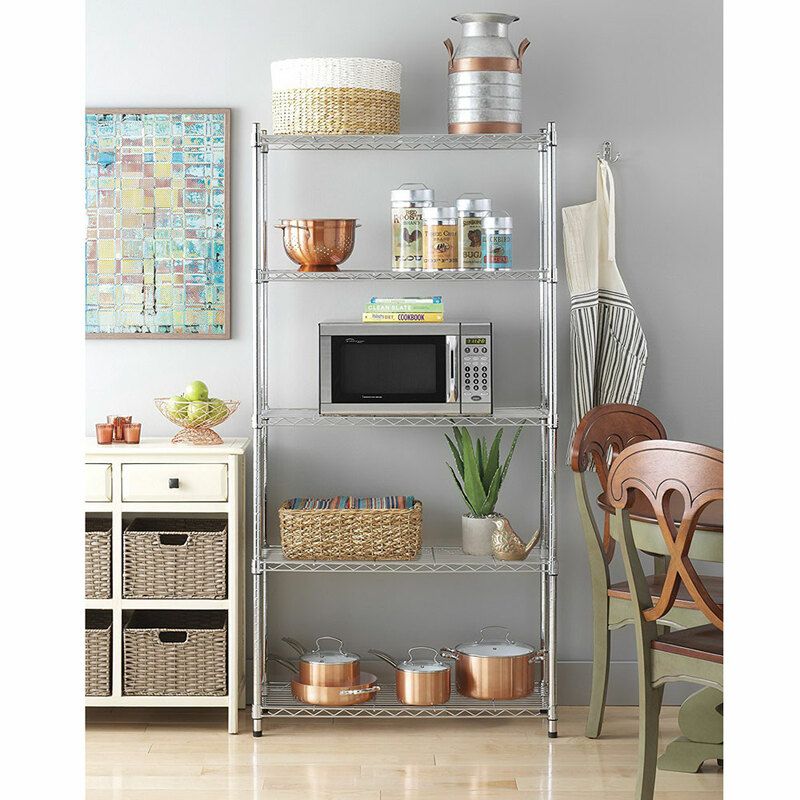 The 5-Layer Chrome Plated Iron Shelf 180*90*35 Chrome provides a perfect solution for organizing or displaying accessories, makeup products, tools and more. 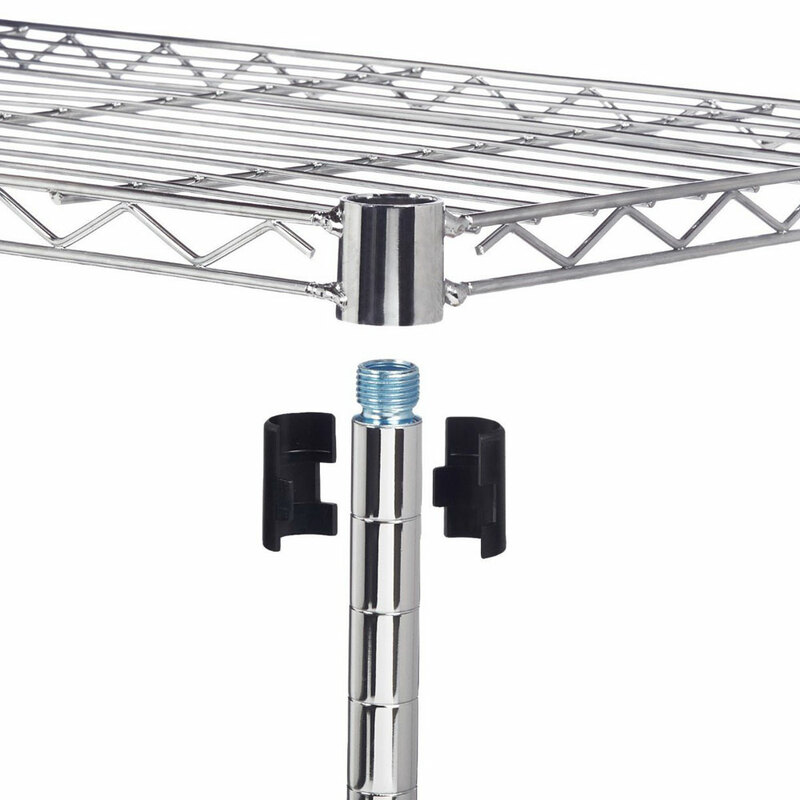 With a multi-layer construction, it accommodates items in different sizes and shapes brilliantly. Open design allows you to quickly fetch the one you want. 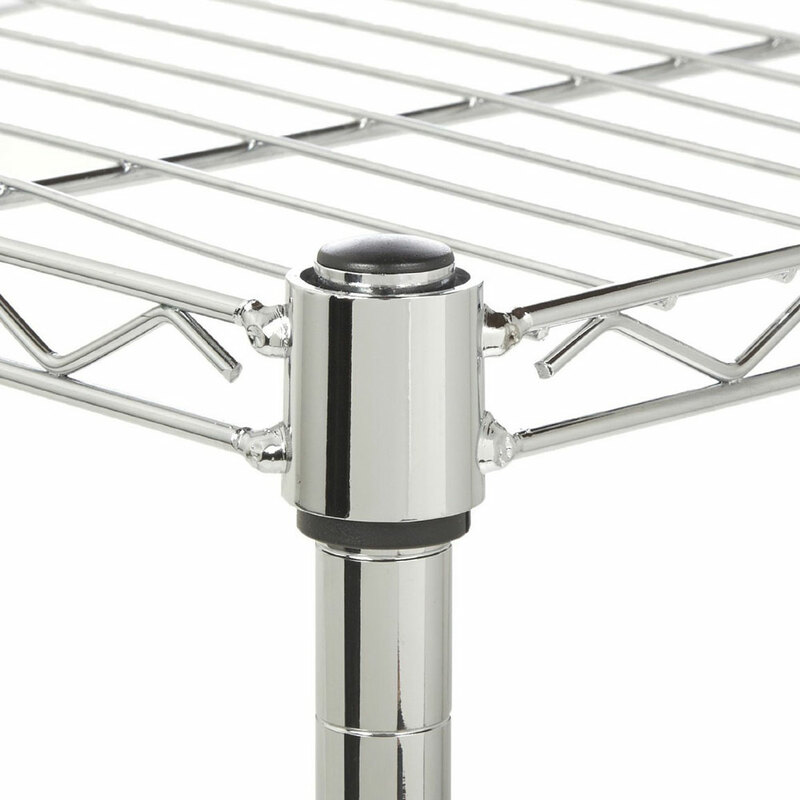 Made with high-grade iron with chrome plating, it is tough, reliable and durable. Simple modern design coordinates well with any home and shop decor styles. With such great quality and unbeatable price, what are you waiting for? Click and order now! Satisfied with the shelf, it was very sturdy and powerful, and the installation was very easy, and it took me only a few minutes to install it. I recently moved into a smaller apartment, so I needed more space to place my appliances, so I bought this sturdy shelf, which doesn't take up too much space, but it provides a lot of storage space. The shelves are big enough for me to stack a lot of snacks, drinks, small appliances and so on on a shelf. I use it as a wardrobe, it's both simple and oversized storage space, which is one of the best purchases I've ever made. My purchase is very satisfactory. 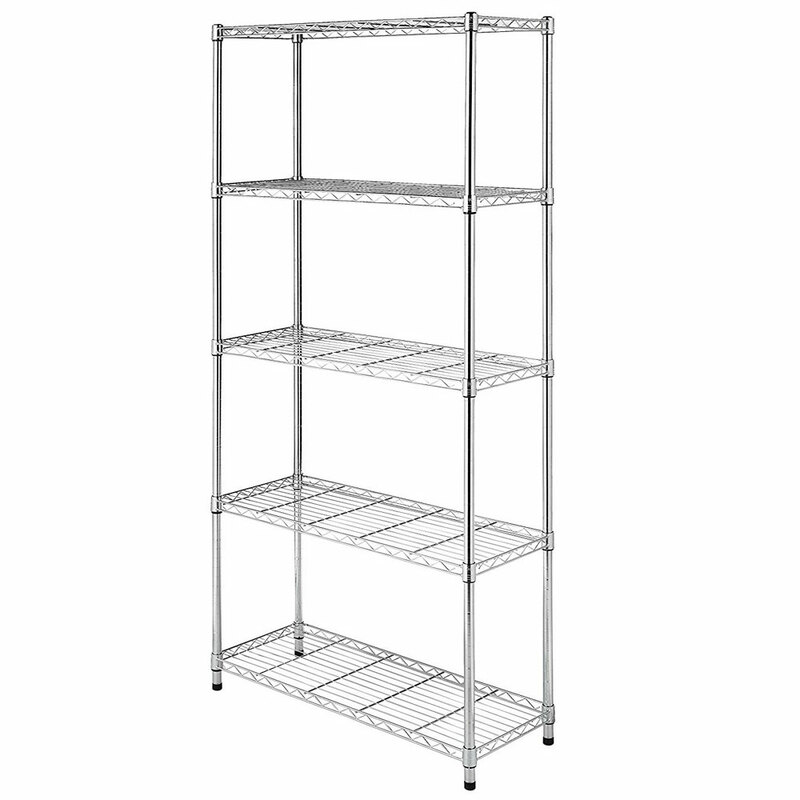 This shelf is ideal for use in food rooms and will not be too wide or too narrow.